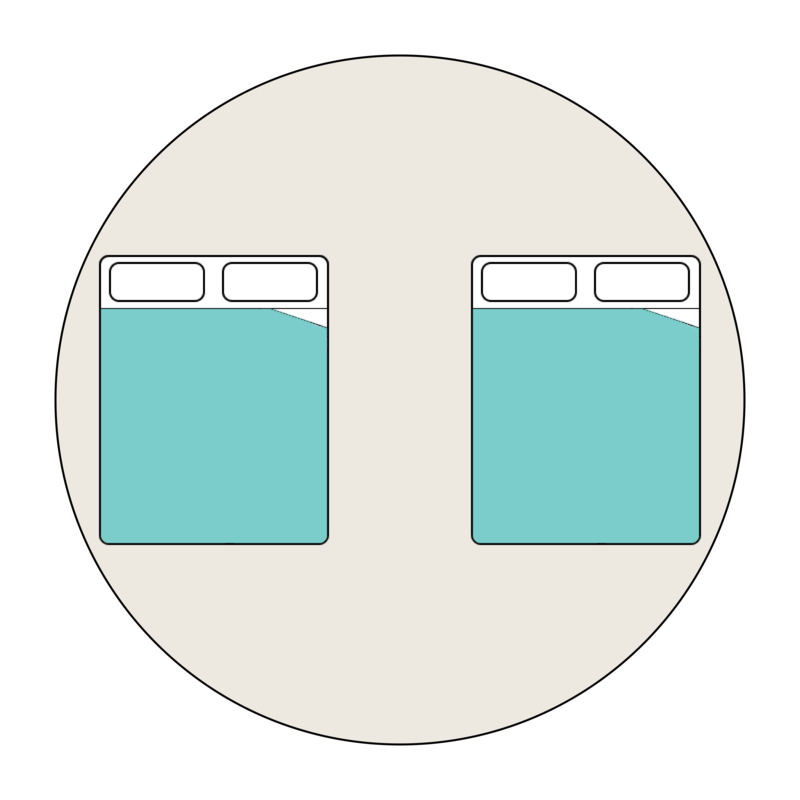 No two glamping bookings look alike, and so they shouldn’t – holidays should be able to be customisable to your unique needs! We offer three different packages with every Glamping Days Hire Co. bell tent hire, you just need to choose what suits you best. This option suits locals best. Our most economical option includes our signature Glamping Days Hire Co styling and we will leave some comfortable air beds. 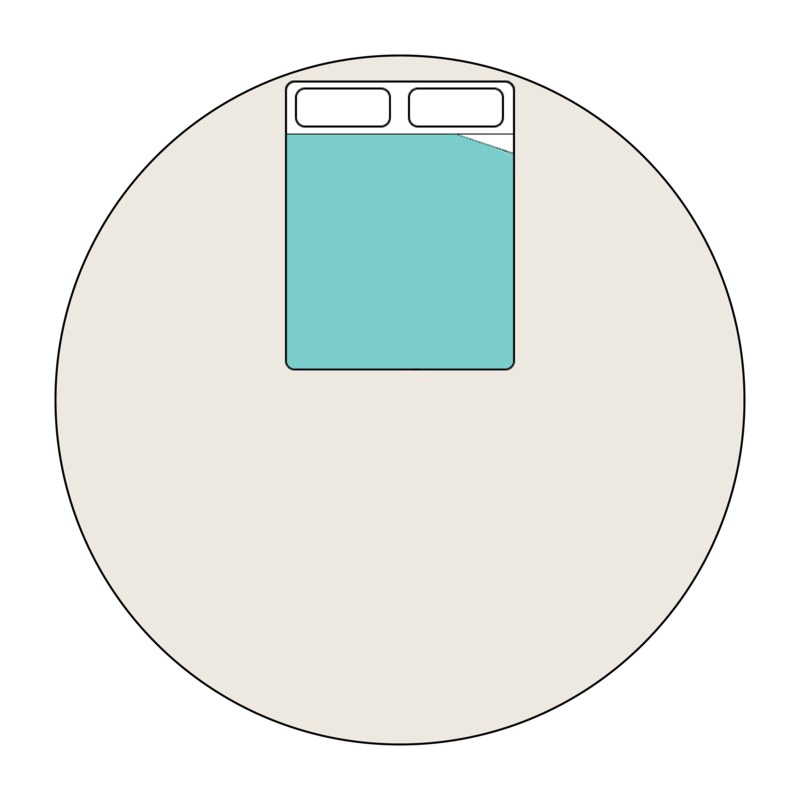 You’ll need to supply your own linen from home for you and your guests. The most popular option – especially for groups. 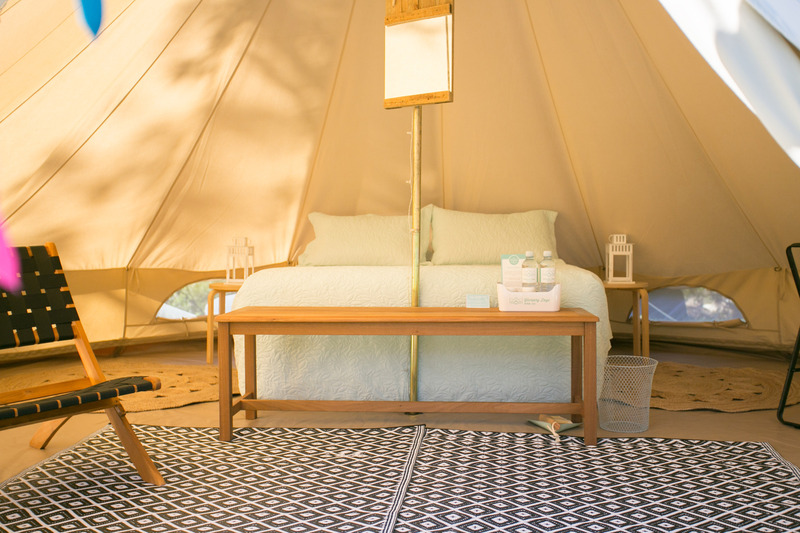 We’ll include our signature Glamping Days Hire Co styling and include all your beds & linen. The tents will be set up and ready for guests the moment they arrive. 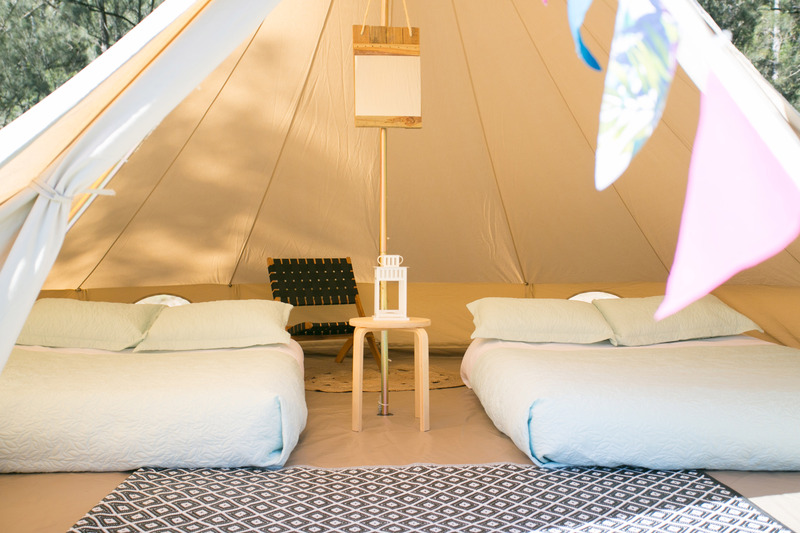 For something a little fancier We’ll include our signature Glamping Days Hire Co styling and include a double height air bed, linen, a luggage bench and a few extra touches. The tents will be set up and ready for guests the moment they arrive. 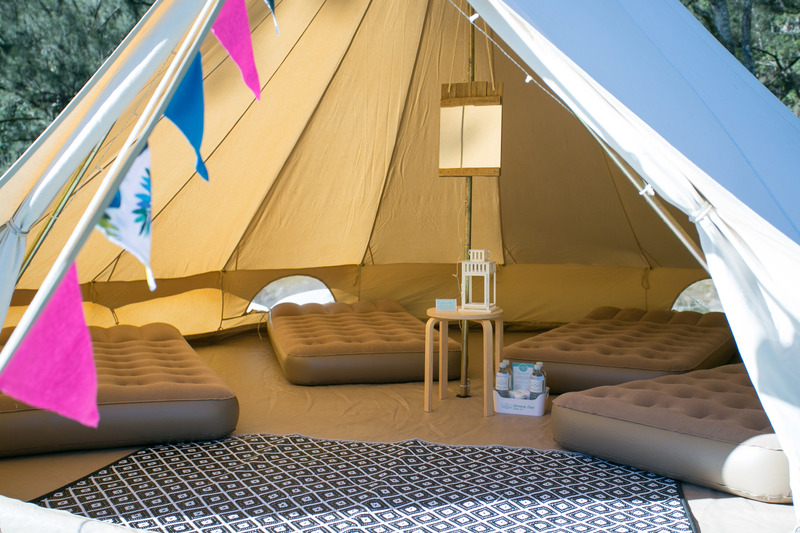 Our 5m bell tents are perfect for anywhere between 2-4 guests – with plenty of room to still move around. Depending on your guests, one configuration might be better than another. 1 queen airbed & 2 singles. Just 1 queen air bed.